Thelma “Sue” M. Westrum (Hoehl), 94, a resident at the Hill at Whitemarsh in Lafayette Hill, PA, passed away peacefully on March 13, 2018 surrounded by her family. She was the loving wife of Albert “Al” J. Westrum, sharing 64 years of marriage together. Sue was born in Charleroi, PA to the late Robert W. and Mary (Spire) Hoehl. During her lifetime, she attended Charleroi High School, Class of 1940, where she returned every five years through her 65th year reunion. In 1944, she graduated from California State Teachers College, California, PA with a BA in Education. It was there that she met her late husband Al, who was serving in the U.S. Army at the time. She completed her education at the Horace H. Rackham Graduate School of the University of Michigan in Ann Arbor, Michigan, earning her Masters of Arts in Speech Therapy. Sue was energetic, active, and a leader in many local and national organizations. Most notably, she was a founding member of the Livezey Chapter of Questers, where she remained active for 60 years. As a member of the Norristown Garden Club, she enjoyed decorating holiday houses for their annual tour. She was also a member of The Women for Greater Philadelphia and, had a passion for participating in their holiday events and pouring tea in period dress at Laurel Hill Mansion. Sue was a diehard Michigan Wolverine football fan, rarely missing a game. In 1998, Sue and Al traveled to the Rose Bowl to see her favorite player, former Michigan quarterback Tom Brady, whom she even rooted for against the Eagles in this year’s Super Bowl. Sue and Al were the epitome of a “together” relationship and did almost everything as a couple. They were active members in the First Presbyterian Church of Springfield since 1953 and enjoyed their membership at Cedarbrook Country Club for 50 years. In 1975, they started a long tradition of vacationing in Pocono Manor, PA and purchased an original 1906 Arts and Crafts house, named “Keewaydin”, which inspired them to study the Arts and Crafts Movement. Together, they attended the inaugural Grove Park Inn Arts & Crafts Conference in Ashville, NC in 1986 and attended every consecutive year until it became too difficult to travel. Children and grandchildren shared many wonderful family gatherings together with them on “Keewaydin’s” porch overlooking the hills and valleys of the Pocono mountains. Together, Sue and Al had a passion for traveling to exotic places, with some of their favorites being: Antarctica, the North-West Passage, Galapagos, and the Serengeti. One of Sue’s favorite stories was her adventure swimming with the hammerhead sharks in the Galapagos. Together, they were fortunate to visit all 7 continents. Sue is survived by her children: Christine W. Porter (Ron), Wendy W. Weber and John A. Westrum and 5 grand children: Thomas F. Weber, Christopher H. Weber, Tyler J. Westrum, Katherine H. Westrum and Margaret H. Westrum. 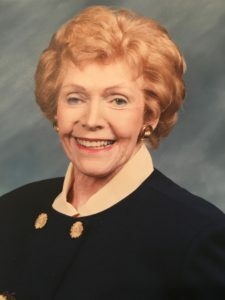 In lieu of flowers, the family requests that donations be made in her name to Macular Degeneration Research, 22512 Gateway Center Drive, Clarksburg, MD, 20871. Interment is private. A memorial service to be scheduled for a later date.